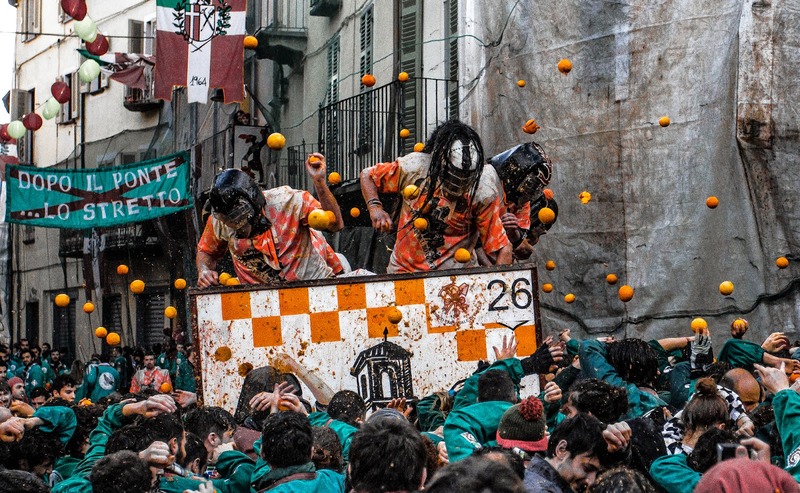 Coming over to Piedmont in February can be a great excuse to take part in the battle of the oranges in Ivrea, visiting the town and trying the local foods and wine. 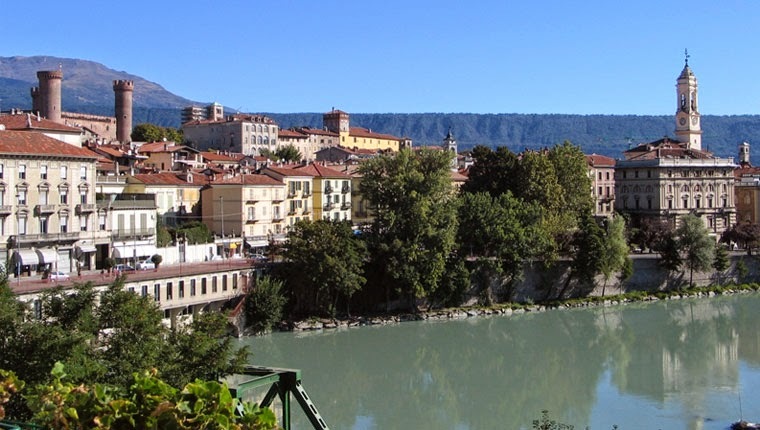 Ivrea is worth a visit all year long, it is located in a strategic position, about 1h driving from Turin and close to Valle D'Aosta; surrounded by many lakes, it also has a rich in history. In fact, it was founded on the Via Francigena, the ancient pilgrims’ road that connected France to Rome, and it has been inhabited since the Neolithic era. 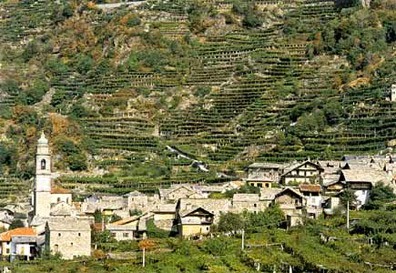 Today, its inhabitants are knowns as eporediesi, which comes from Eporedia, the name of the Celtic fortified village that gave origin to Ivrea back in the 5th century BC. In 100 BC, the Romans picked it as an outpost to invade Northern Italy and after them, many other populations ruled over it, before it finally was acquired by Amadeus VI of Savoy, in 1356, who made it part of his possessions that in 1861, finally, became known as the Kingdom of Italy. Nowadays, it is possible to visit quite a few of the historical sites, such as the remains of the Roman theater; the Rocca, or King Amadeus VI castle (1357! ); the Cathedral built on the site of a 4th century pagan temple and the ponte vecchio – old bridge, dating back to 100AD. 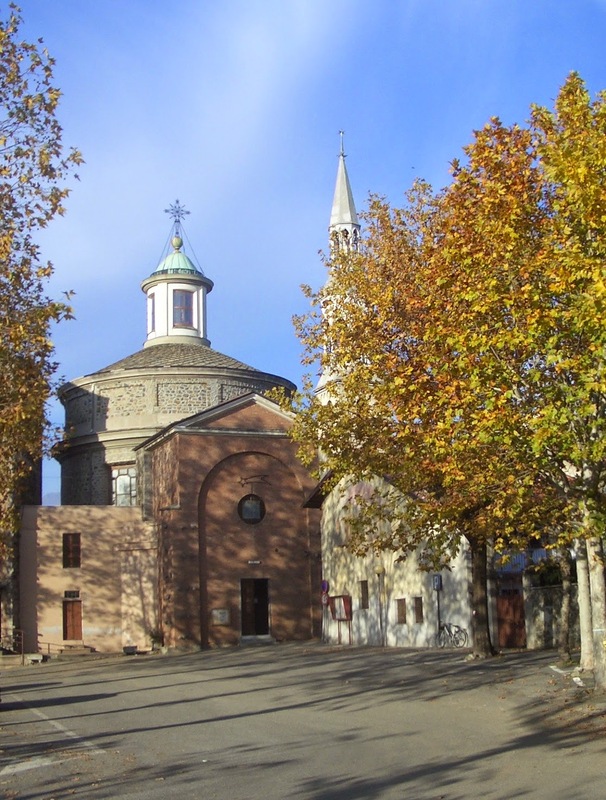 Legend has it that even Saint Francis stopped by Ivrea, in 1220 when he suggested the creation of Roman Chapel of the Three Kings – Cappella dei Tre Re, near the Monte Stella sanctuary. Moreover, the Ivrea Jewish community has ancient roots in the area and has always been very active, therefore many events are always hosted in the synagogue. 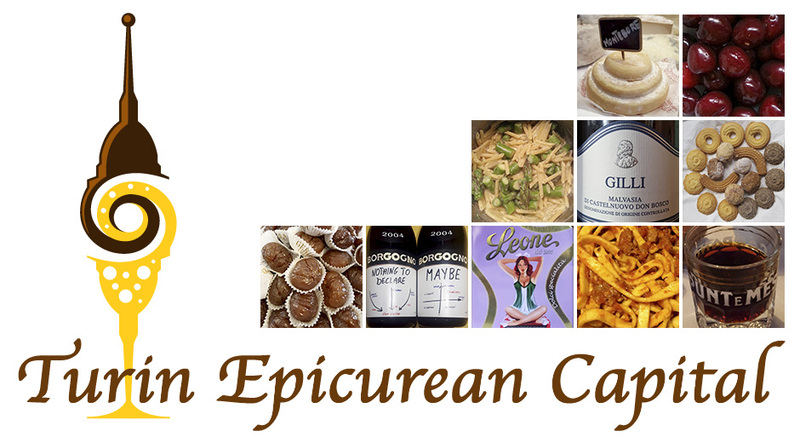 Culinary wise, foodies will love Ivrea’s specialties! 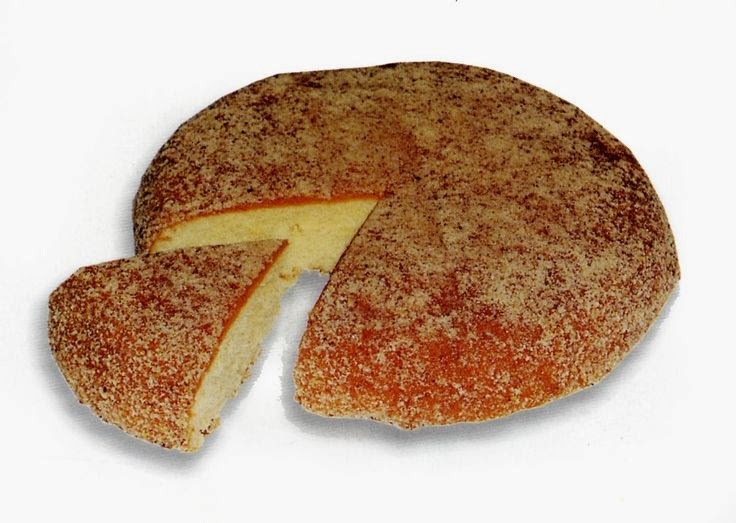 Polentina or tiny polenta is a soft cake as a small as a hand. Corn flour provides the amazing bright yellow heart while the outer look is brown as it is made of honey, orange juice and finely chopped hazelnuts. Just delish! For the cheeselovers and really any foodie, tomini elettrici – electric tiny toma cheeses are a typical specialty of the Canavese, the area surrounding Ivrea. 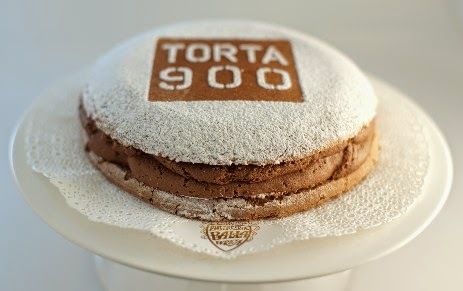 Toma is a typical Piedmontese goat cheese, round in shape, with a delicate flavor, a creamy texture and sometimes a thin crust. The electricity factor is given by the chili used to flavor it. 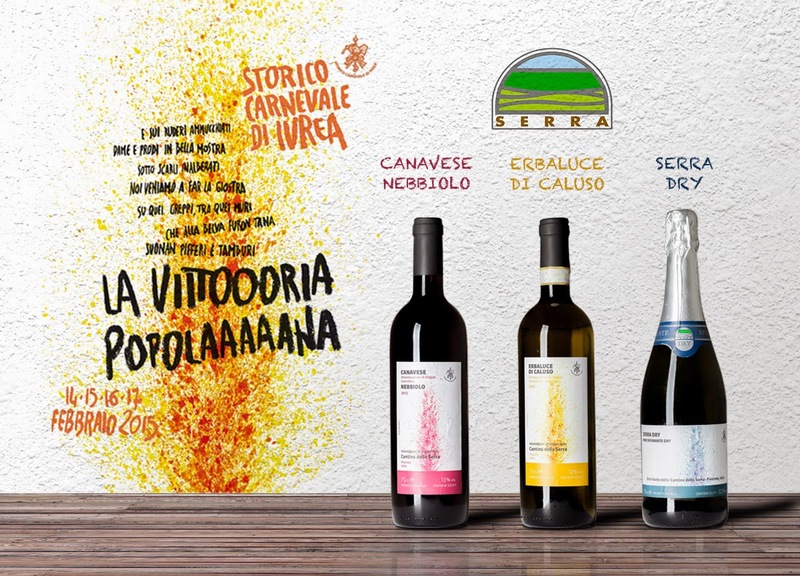 Finally, wine lovers will find themselves at home here thanks to the amazing local wine and all its varietals: Erbaluce di Caluso. Erbaluce comes from a local grape and according to the legend, its vine sprang from the nymph Albaluce’s tears who got moved by the generosity of the local people who had sacrificed everything they had for her beauty. This is the only wine with the DOCG certification for all its 3 variants: still, sparkling and raisinated. It has a fresh character and natural acidity so it pairs perfectly with aperitivo snacks, cured meats (especially those produced in the nearby Alps), freshwater fish like that from the local lakes, risotto and cheese.